After a long hiatus, the Backyard of the Week returns! This week’s featured astrophotography equipment profile is owned by Vittorio Signorelli in Latina, Italy. Vittorio has not been in the astrophotography game long, but he has made some serious progress in a short amount of time. He mentioned that my early YouTube videos had a huge impact on his progress, and for that, I am honored! 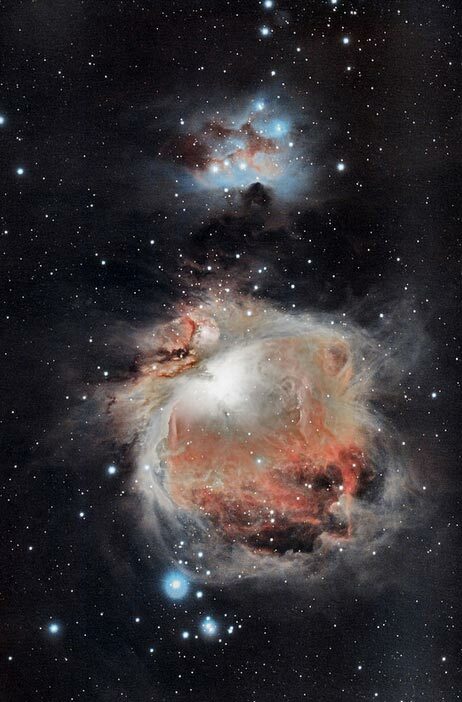 Vittorio has been able to photograph some incredible deep sky astrophotography targets using a DSLR camera and telescope. A notewrothy element of this rig is Explore Scientific ED102 CF telescope, which I personally use and enjoy. This telescope is responsible for many of the deep sky images in my photo gallery. Since late last year, Vittorio has managed to capture several successful deep sky images using his backyard setup in Italy. A DSLR camera like the one he uses is capable of producing high-quality astronomy images when combined with winning image processing techniques. His Flickr gallery features images of the Horsehead and Flame Nebula, The Pleiades, The Whirlpool Galaxy and more. 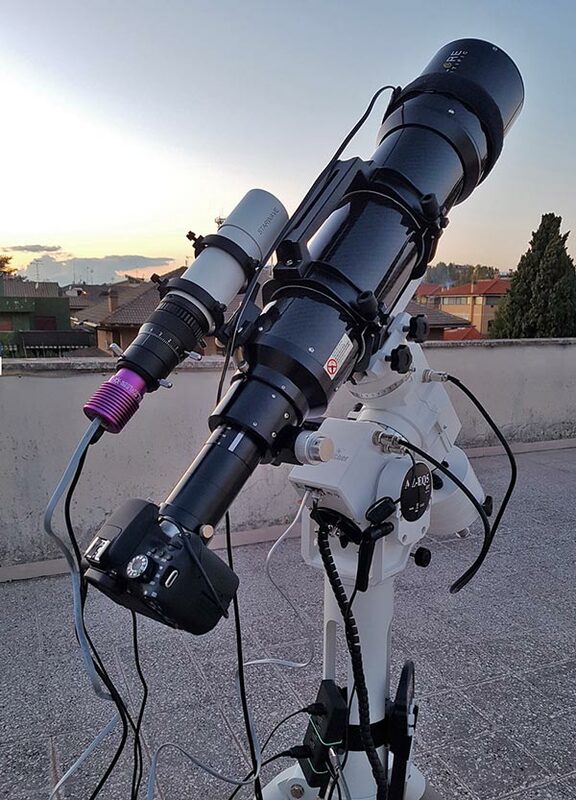 Vittorio uses the sturdy and capable Sky-Watcher AZ-EQ5 Goto Mount to track the movement of the sky while imaging. With a payload capacity of 30 lbs, the AZ-EQ5 has no problem handling his carbon fiber refractor, autoguiding combo and imaging camera. The Explore Scientific ED102 CF Triplet Apochromatic Refractor is a truly remarkable telescope for astrophotography. I consider it to be a real performer in terms of deep sky astrophotography, with a field of view that allows you to capture many of the large DSO’s. The 102mm aperture offers some added light-gathering power to the legendary triplet APO telescope design. Vittorio uses an Explore Scientific MPCC field flattener when imaging through the ED102. I personally use the Starfield 0.8X flattener/reducer with mine, and it appears to perform just as well. The Starwave 50mm Guide scope and the Altair GPCAM2 AR103 Mono is a great choice when it comes to a painless autoguiding solution. I personally used this exact combo before recently updating my guide scope to a Starfield 50mm model. Vittorio uses a full spectrum modified Canon EOS 750D to capture his images through the telescope. 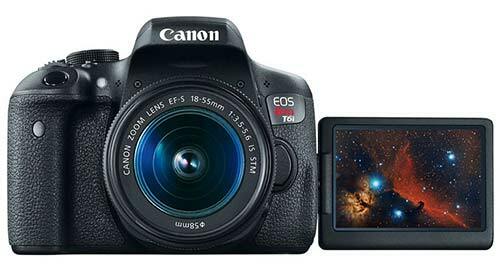 The 750D (Or Rebel T6i in North America), houses a 24.2 MP APS-C sized CMOS sensor. My DSLR’s have also had the full spectrum modification made, which can really help record more colors on your target. The filter used in this Vittorio’s DSLR is the SkyTech CLS-CCD clip-in filter, which is a perfect match for a full spectrum modified camera. This filter does a great job of reducing the negative effects of light pollution without totally destroying the natural look of your target. I have covered this filter extensively in the past, so be sure to have a look at the data captured from a light polluted area using this filter: Image Processing Challenge – The Soul Nebula. To view more of Vittorio’s work, be sure to visit his Flickr profile. Thank you for sharing your backyard astrophotography setup with us, Vittorio! For a chance to be featured as the Backyard of the Week, please fill out this form and include the details of your setup. 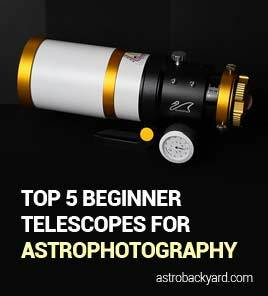 This is a great way for beginners to see a deep-sky imaging setup that is being used to successfully photograph the night sky. Please include a link to your online gallery (website, Flickr gallery, Astrobin) so that I can share your imaging results on this page. If you have already submitted your backyard setup without a link to your gallery, please feel free to make another submission!